Book the 4 piece band and DJ for the evening plus an acoustic duo with female vocals and guitar for the daytime! Price to extend DJ sets past midnight. Price is per hour. Price per hour for the band to arrive before 6pm. Manned DJ option between sets and until 12.00am. Happy to work from pre-supplied request lists. Add 1 x 45 minute set of acoustic duo music anytime from 7pm onwards. 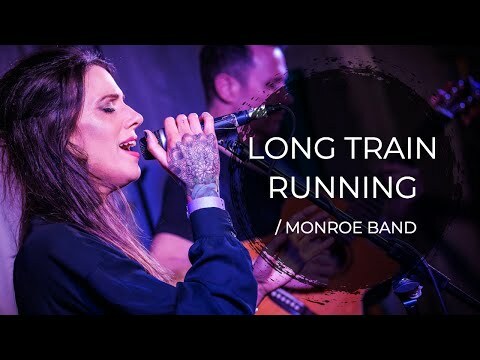 Monroe Band is fronted by talented and versatile female vocalist Polly Yates. She studied vocals at Leicester College and has performed with a huge range of live acts, from her acoustic/jazz duo Monroe Acoustic through to funk and soul bands and even hip-hop and beatbox vocal groups. The band offers a varied repertoire of songs to suit audiences of all ages but has a particular emphasis on music by current female pop artists such as Beyonce, Adele, Rihanna, Florence & The Machine, Rita Ora and more. So if you're looking for a band that is bang up to date then this is for you! 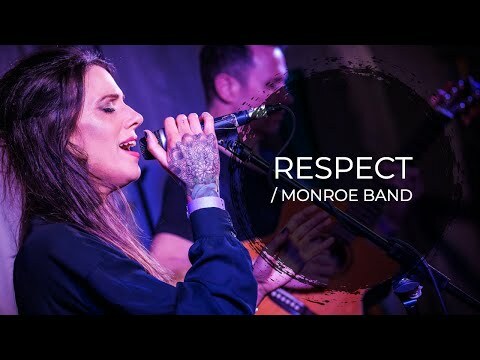 Monroe Band is able to adapt to all types of event whether it be an intimate party, romantic wedding or a high profile corporate event. In order to make your event special, they are happy to learn requests such as for first dances or introduction music and stings for awards dinners and presentations. The other band members are all professional musicians who have toured with major pop artists. So, you can be sure that the band is absolutely solid throughout. 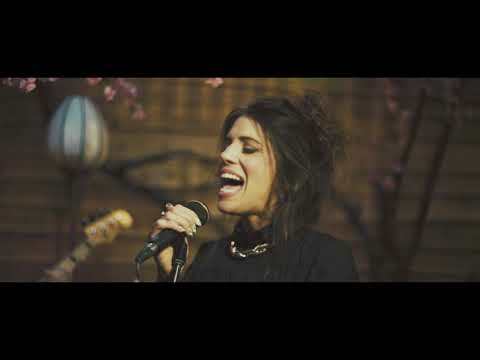 The band carry professional PA and lighting systems, to ensure that they sound and look fantastic every time. If you are also looking for some acoustic music during your ceremony, drinks or meal then you can add the band's duo, Monroe Acoustic. View their page for a full list of options. A discount of £50 is applied to any duo package that is added to a band booking. Hi Polly and the band. A really big thank you to the Monroe Band for making our wedding such a fabulous occasion on Saturday. You were absolutely brilliant, both as an acoustic duo when we arrived at the venue, and then as our party band for the night. All our guests were raving about the quality of your music - and given that there were a lot of trained and experienced musicians there, it is high praise indeed. Thank you so much for learning “A Perfect Year” for us - it is a significant song in our lives and meant a lot. (New Year is always “our time” after being sociable over Christmas!) And we got engaged on New Years Day, 2018. Two Become One was also a big hit - everybody loves a bit of Spice Girls, and we are no exceptions! The venue also said you were the best band they have had! Thanks again for a superb and special night. Just wanted to thankyou guys from the bottom of our hearts. Every single guest at our wedding said it was the best wedding they had been too & you guys had a big part to play in that. People are still talking about how fantastic you where and they wasn't wrong. The acoustic performance in the day was breathtaking you chose all the right songs and you made sure the dance floor was never empty in the evening. You made our wedding day a day we shall never forget and for many others. Just a short note to thank you so, so much for last night. We both thought you were brilliant, the dance floor was busy the whole time and the feedback from guests has been very positive. We'll pass your details on to any friends getting married in the area in the future! I just wanted to say a huge thank you to you and the guys for making my birthday celebration so wonderful. Everything was perfect, we had such a fantastic memorable evening and everyone thought the music was amazing. Great singer with a great band. We are still getting many complimentary comments about them, the day after the event. Polly worked the crowd well and got us all dancing, a difficult feat at a corporate function on a Wednesday night! All Day Package: Book the 4 piece band and DJ for the evening plus an acoustic duo with female vocals and guitar for the daytime! Hospitality/Artist Rider: Secure changing room. Hot meals for 4 people prior to performance. Soft drinks as required. Parking (or reimbursed costs) for 2 vehicles.